Balt's Mentor Training Table has a stylish design and excellent durability and comes at a price that fits any budget. This space-saving table features a vacuum-formed PVC top with rounded edges. Two of the sturdy steel legs come with glides while the two back legs have casters for easy mobility. The table is sturdy enough to support up to 300 pounds. Easy to assemble. Balt's 60"W Mentor Training Table is TAA compliant and comes backed by a one-year warranty. 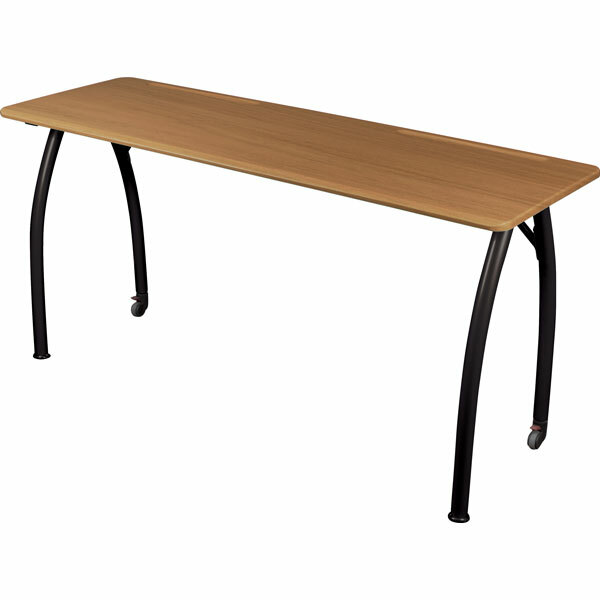 Balt's Mentor Training Table has a stylish design and excellent durability and comes at a price that fits any budget. This space-saving table features a vacuum-formed PVC top with rounded edges. Two of the sturdy steel legs come with glides while the two back legs have casters for easy mobility. The table is sturdy enough to support up to 300 pounds. Easy to assemble. Balt's 72"W Mentor Training Table is TAA compliant and comes backed by a one-year warranty. Looking for training tables for your school or business? MooreCo's Mentor Training Table has a stylish design and excellent durability and comes at a price that fits any budget. This space-saving table features a vacuum-formed PVC top with rounded edges. Two of the sturdy steel legs come with glides while the two back legs have casters for easy mobility. The table is sturdy enough to support up to 300 pounds. Easy to assemble. MooreCo's Mentor Training Table is TAA compliant and comes backed by a one-year warranty. Call us at (877) 839-3330 and a member of our customer service team will be happy to assist you with a quote or order.